President Barack Obama has announced lifting of the wartime arms embargo imposed on Vietnam by the U.S. The announcement was made Monday during Obama’s ongoing visit to the Southeast Asian country. Obama cited mutual concerns that the U.S. and Vietnam held about maritime issues and the importance of maintaining freedom of navigation in the South China Sea. While he claimed that the embargo decision was not related to U.S. policy on China, he made clear the U.S. was aligned with the smaller nations like Vietnam. While Washington doesn't take sides, Obama further said, it does support a diplomatic resolution based on "international norms" and "not based on who's the bigger party and can throw around their weight a little bit more," reportedly a reference to Chinese militarization of the South China Sea. 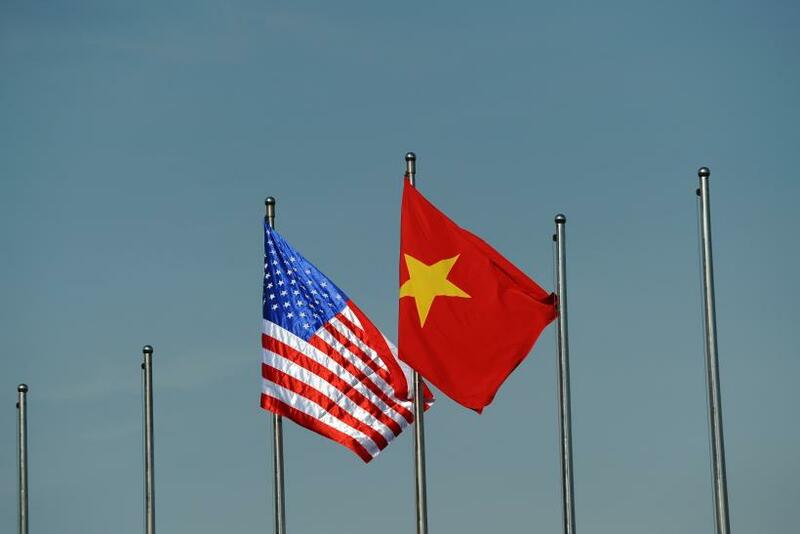 China reportedly lauded the lifting of a U.S. arms embargo, saying it hoped "normal and friendly" relations between the U.S. and Vietnam are conducive to regional stability. However, China's official news agency Xinhua said in its pre-visit commentary that “such rapprochement should not be used by the United States as a tool to threaten or even damage the strategic interests of a third country." At Hanoi, Obama also made the case for stronger commercial and economic ties, including approval of the 12-nation Trans-Pacific Partnership trade agreement. The deal, which includes Vietnam, would tear down trade barriers and encourage investment between the countries that signed it. Obama, however, added that arms sales would depend on Vietnam's human rights commitments. Earlier, White House officials had indicated the arms ban would be lifted only if human rights in Vietnam improved.